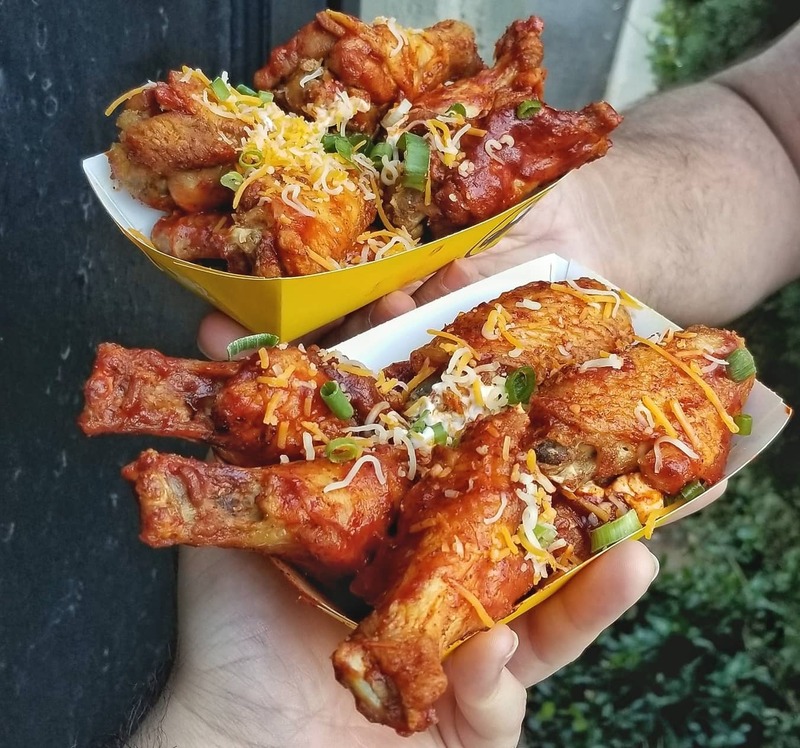 Enchiladas and wings often sit side-by-side on the gameday table, but Buffalo Wild Wings is combining the two for their newest wing flavor. Their new Red Enchilada Wings are coated with a spicy red chili sauce akin to the sauce you'd find on top of enchiladas. Buffalo doesn't stop there, though, as they let you get the wings fully loaded on top as well. By asking for "The Whole Enchilada," you'll get the saucy wings with extra cheese, green onions sprinkled on top, plus some sour cream on the side to dip them in. The accouterments do come with an additional surcharge, but when else can you say you've eaten a handheld enchilada in the form of a chicken wing? You can find the Enchilada Wings on the menu through mid-November for a limited time item.